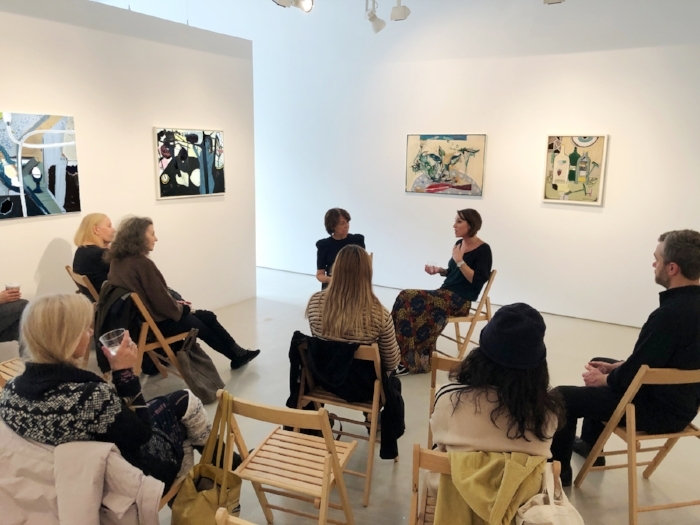 On Saturday, December 1st, Nancy Margolis Gallery hosted an Artist Talk for French-English artist, Delphine Hogarth Lafaye. 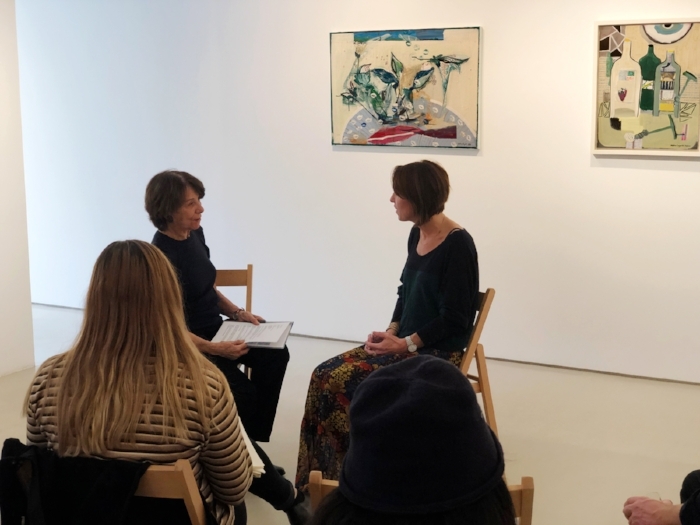 Guided by questions from Nancy Margolis, Delphine engaged the audience in a discussion about her background and education, her creative process, and the different inspirations that drive her work. Delphine’s solo exhibition will be on display through January 5th, 2019. Delphine Hogarth Lafaye was born in France in 1976. She studied the History of Art at Bristol University in 1995, followed by an Arts Foundation Course in Paris from 1998 to 2000. Hogarth Lafaye has had solo and group exhibitions in the UK, France, Italy, and New York City. She now splits her time between London and Paris.